This little Fall Cloche sits on my side board. I bought this Cloche at HomeGoods last year. The light tinge of green gives the impression of vintage glass. Today I am joining Marty for her Fall Cloche Party. 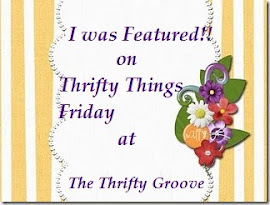 There are so many beautiful and creative blogs that are linking up, so be sure to visit them and enjoy the party. "...... No, lest while you are gathering up the tares, you may root up the wheat with them. Autumn is God's reminder to us of a time coming when we shall be "gathered" as His harvest. Jesus told us the fields are "white unto harvest" (John 4:35). His prayer was for us to ask the Holy Spirit to send out "laborers" into the harvest (Luke 10:2). I picked up these vintage things many years ago. Okay, so what is it?? Well actually it is a toaster! I'm not exactly sure if it was made to toast over an open fire or if it was for a pot belly stove. But a toaster is what it is. I really don't know what it is. I've had this in my kitchen for many years, just for decoration. It is possible that there used to be something in the middle. You can see it in the above picture that it is shaped like a bowl. If you have any clue what this was used for, I'd love some insights. And while you are visiting Coloradoladys blog, please take a peek at the Secret Santa Soiree Suzanne is hosting. Sign up closes on October 30th. So join in on the fun! My daughter returned from a trip to the Windy City carrying a 1/2 Peck of Autumn Beauty Apples. She and her friends went to the Edwards Orchard in Poplar Grove Illinois. From what I understand they are very famous for their delicious Apple Cider. He was in perfect condition too! Apples, Grapes, cheese and crackers. Such a delightful healthy snack. 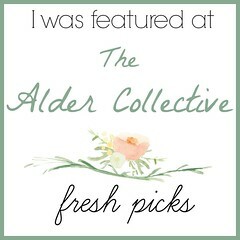 Thank you to The House Undone for allowing me to be one of the Favorite Features on their blog. My BFF was down helping her parents at their condo for a couple of weeks. I had the opportunity to join my BFF and her Mom for tea at a lovely English Tea room. Isn't this just the loveliest place?? And check out this amazing tea pot. We enjoyed a very sweet time together. Let's hear it for Corningware! When I got married in the 70's Corningware was a very popular wedding gift. I chose this pattern, mostly because it was a newer design than the Blue Cornflower. When my Mom passed away, I inherited her Blue Cornflower. I really like using my Corningware. It's durable, safe for the microwave or oven and very easy to clean. So when I find pieces at the Thrift store or Goodwill, if it's a good price I pick them up. Some designs I am not familiar with, but these larger pieces are great for casseroles or serving up soup or stew. And then there are these smaller pieces. I found this old dish rack at Goodwill once, and it's a great way to store the glass lids. I don't pay more than $3 or $4 for Corningware and they usually come with the lids. So even though I did not start out to collect Corningware, I've enjoyed using them so much, they have become a little collection in my kitchen. You can't beat a product that has endured over 30 years of heavy use. I love these old stately houses. The table is set. The water is hot. Join me, won't you? ?